The Society of Collision Repair Specialists announced Thursday it has invited the auto body community to an open board meeting ahead of the Collision Industry Conference in Atlanta. The two-hour event from 3-5 p.m. April 7 will allow members and others in the industry to learn more about SCRS and its initiatives. SCRS affiliates, committees and staff will speak. An election for four board seats will follow; anyone present who is a voting representative of an SCRS member can vote. On April 8, collision repairers can attend a Repairer Roundtable from 8:30-11 a.m. discussing safety in light of new auto technology. A panel will speak, and the audience will be allowed to do so as well. 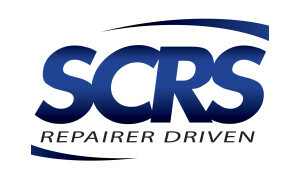 After that, SCRS will hold a corporate member lunch and present industry awards. The meeting and CIC will be held at the Crown Plaza Ravina. Cost: Free. RSVP required for the luncheon or roundtable by April 3.